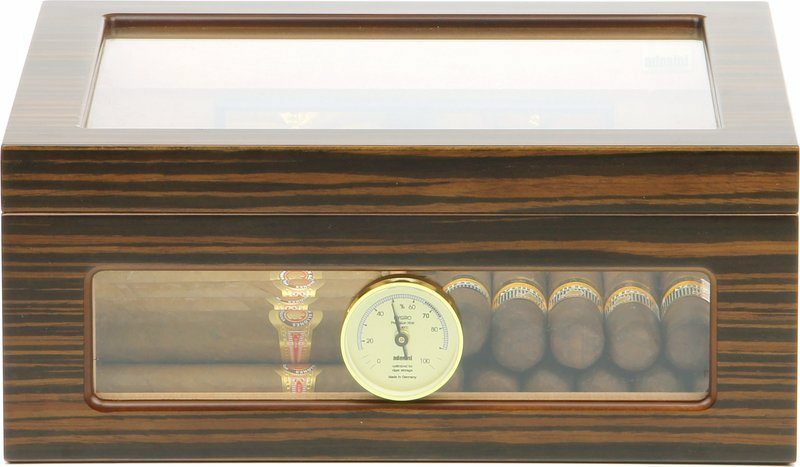 The glass left, right and front of the humidor, and the glass lid allows unobstructed view of the cigars without having to open the humidor. Wonderful product. The shipment was precise and on time. Thank you, see you soon for the next purchase. 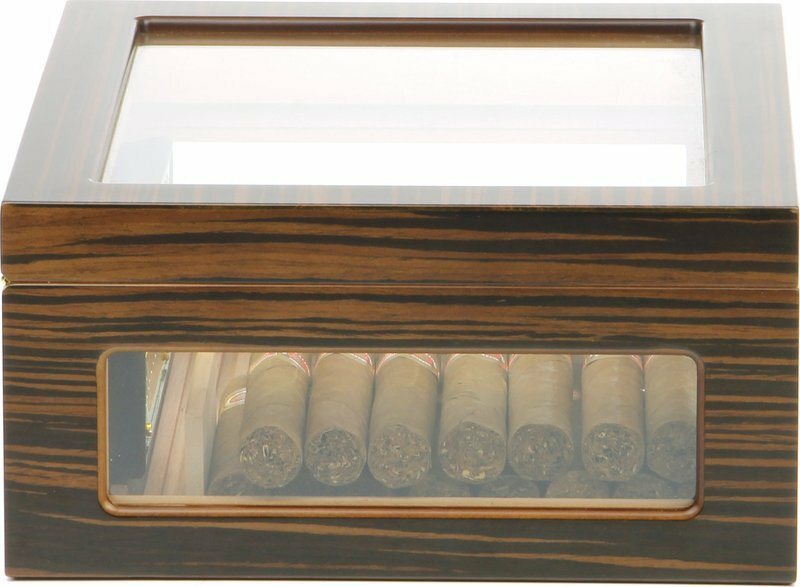 Great humidor: very good quality, useful description and instructions included. 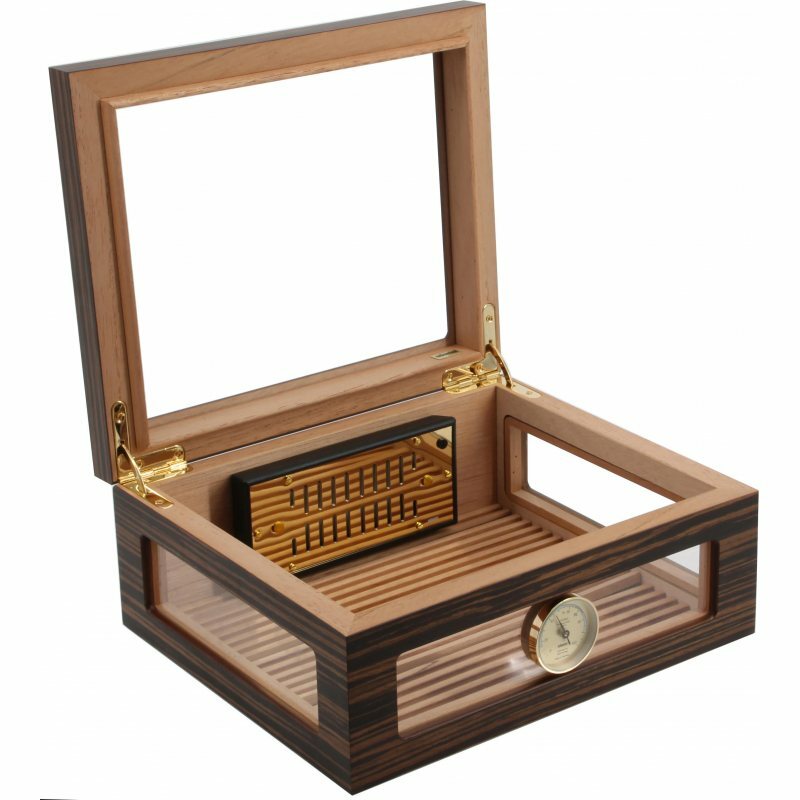 Good packaging, fast shipping, elegant design seeming to rely on high quality. So far I can only report positive impressions. A product of excellent value. Purchased with a very good discount. Great item, fast and uncomplicated delivery, I'll gladly order again. The delivery was fast and everything was OK. 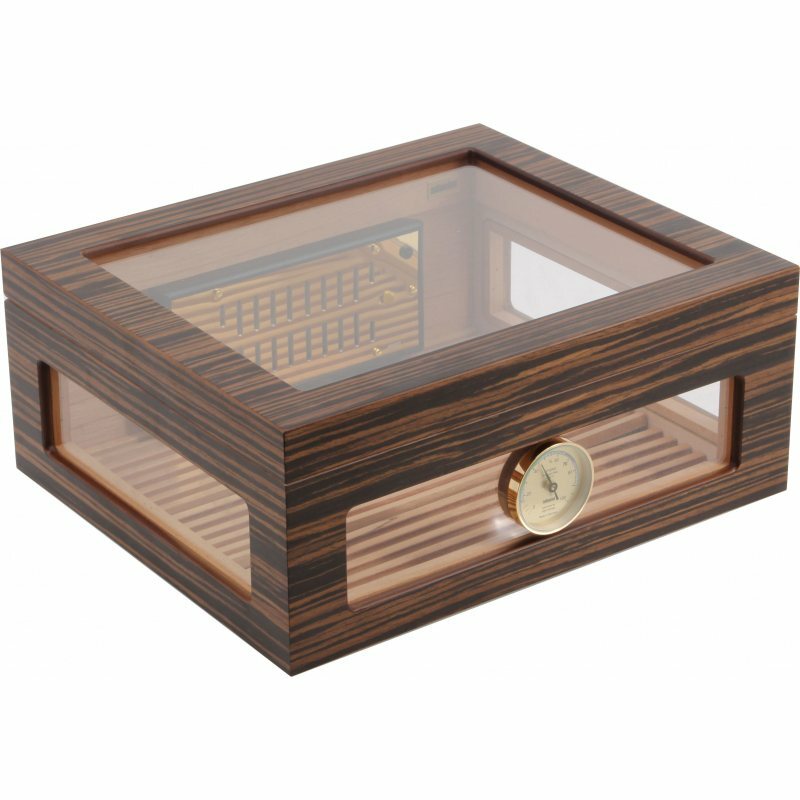 Truly beautiful, easy to start with... A highly recommended humidor for newbies. I could spend hours just looking at it! Great product. Clear explanations. Excellent service. Very satisfied with this product. Pleasing to the eye, easy to get set up and running with the included silver ion water. Within a day it was at 74% and I had loaded up my selection. The delivery was on time and the team were very quick to respond to a query I had post sale. 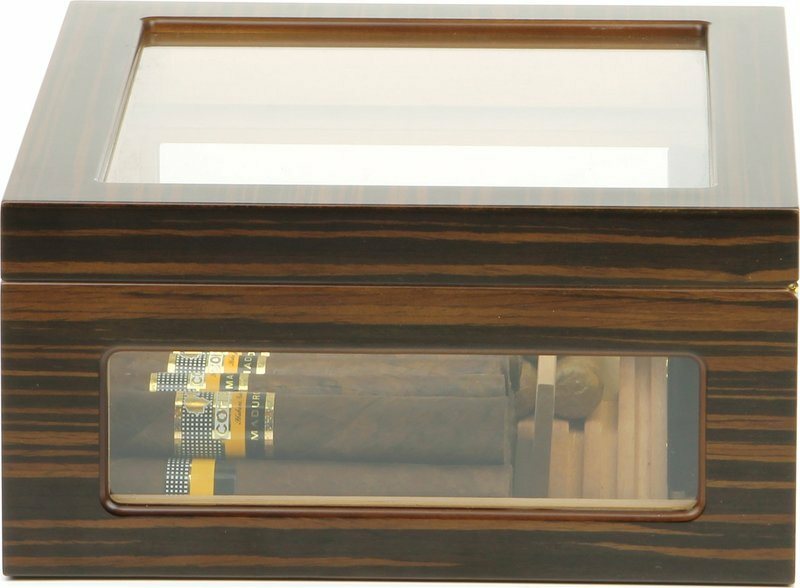 Excellent humidor, elegant and very spacious. Top range product, packaging and delivery were perfect, site for trustworthy purchases! Even more beautiful than on the picture. I'm very satisfied. A lot better looking than what you can see on the picture. Nicely air tight and a lot of beautiful details, would definitely recommend it and buy it again! Absolutely gorgeous. Better in reality than in the pictures on the website. 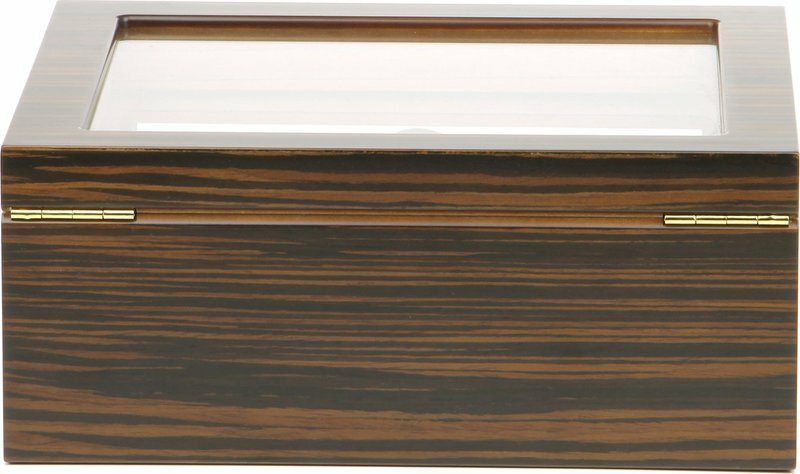 The wood is darker and the quality seems top notch. Let's see how it will cope with a few years of use. Very pleased, even though the hygrometer had to be recalibrated. The instructions for the initial setup are simple and easy to understand so that even laymen should have no problems. 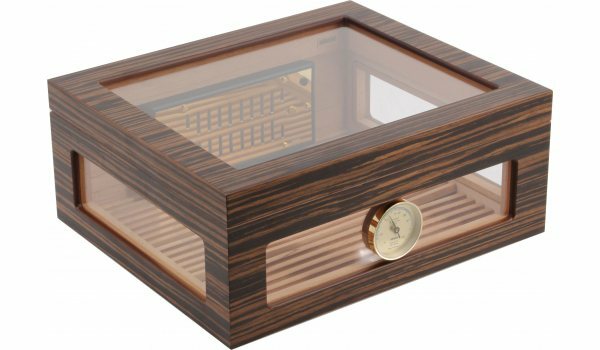 The humidor is very elegant and offers enough space for a small collection of cigars. After 2 days it reached the desired humidity level and now maintains it. Great product!